Outdoor Daybed Mattress & BolstersOutdoor Daybed Mattress &amp; Bolsters, alt="Outdoor Daybed Mattress &amp; Bolsters, "
Fits Capistrano, Avalon and Harbour Cane Daybeds. Print Designed to fit our Harbour Cane, Avalon, and Capistrano Daybeds, this French mattress is beautifully detailed with button tufting and self-piped edges. We love the luxurious size and the coordinating bolsters that soften the tailored sides. 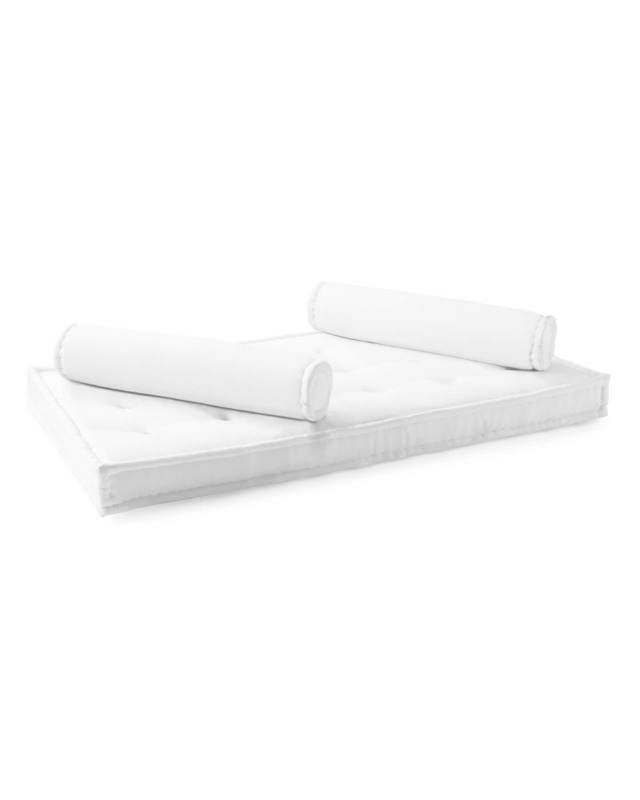 Sunbrella® Canvas mattresses are tufted with self-piping. Mattress: 75”L x 38”W x 6”H.